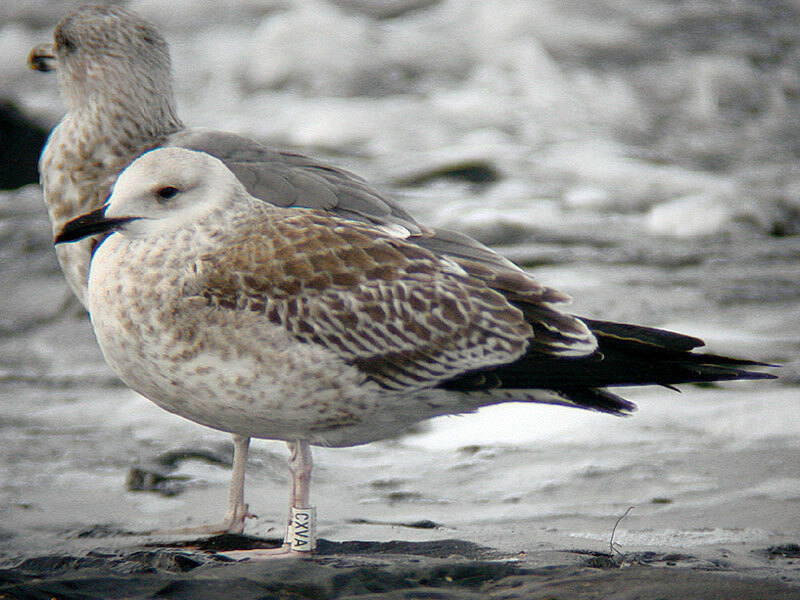 16 October, Westkapelle, Veere, Zeeland, juvenile, wearing colour-ring on left tarsus (white, with black inscription CXVA), photographed (J Walhout, W van den Zandbrink; Dutch Birding 27: 76, plate 94, 2005). The third record. The bird was ringed as chick in a colony c 50 km south-south-east of Tampere, Finland (Risto Juvaste in litt). The CDNA only accepts birds of proven provenance (ringed as chick on the breeding grounds). Annual Report 2004.